Ideas of Items to bring with you? 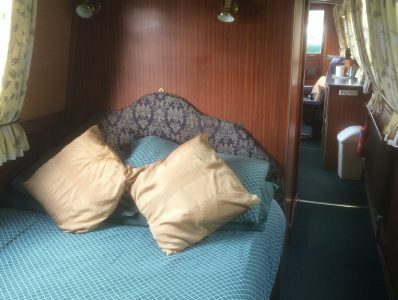 Maria is a very comfortable 4 STAR VB graded craft for two people. 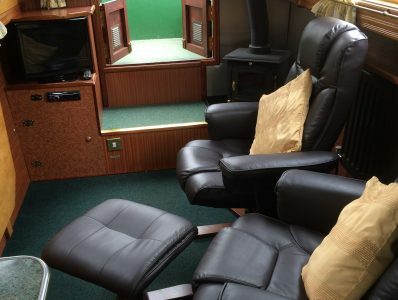 She has a spacious furnished lounge with leather reclining swivel chairs, foot stool and drop leaf table. 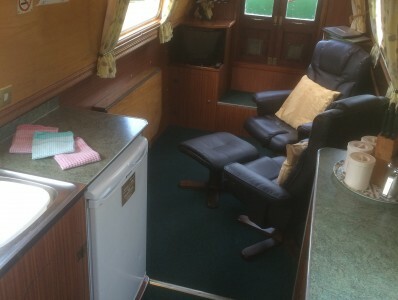 Double berth with sprung mattress. 240v and 12v electricity supply. Hairdryer, TV/DVD, Radio/CD player. 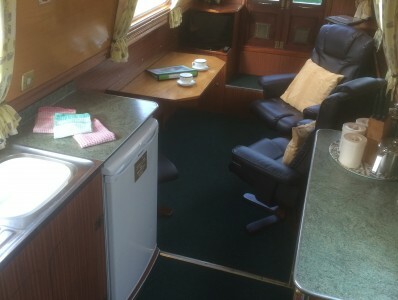 ‘NEW in 2016’ A small wood burning stove has been fitted. 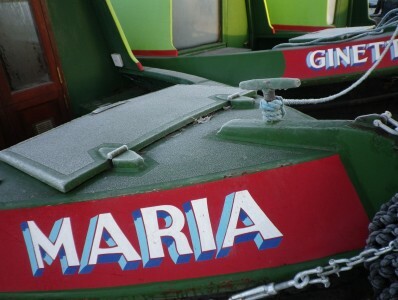 Fitted as standard to ALL our boats. 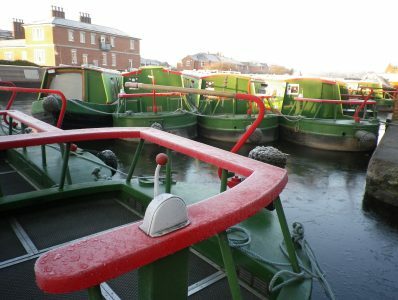 Click to read our Boating Guide Handbook, all you need to know before setting off on your Canal Cruising holiday!